New Forest Log Cabins have been meeting the needs of Schools for classrooms and as the name suggest, we build these out of Eco Friendly Logs that are milled from sustainable forests and built at a price that makes a conventional brick building an expensive alternative. Is your school in need of extra space to teach, but unable to construct a permanent classroom. Not only are New Forest Log Cabins able to deliver Log Classrooms as a cost effective alternative, they are now available to be constructed as a "TEMPORARY STRUCTURES". When there's no more room inside and you need extra these classroom space, lodges are made to suit the needs of the individual are designed to be temporary buildings and so much easier to get planning permission for and with a life expectancy of in excess of 100 years they have a lot to offer. Burton Hathow School is now home to some very happy children who are so proud of their log classroom, they give personal tours around the building. Likewise, the teachers are pleased to be working in a lovely bright and warm Log Building that has a very calming influence with even the most energetic young children. Burton Hathow are very Energy Efficient and use a biomass heating systems which ties in very neatly to whole Eco Friendly that New Forest Log Cabins build in to their nursery classrooms. 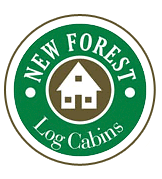 New Forest Log Cabins can work with you to design around your needs and would very much like to talk to you about our ideas for building a facility that the pupils and teachers alike with benefit from. Please e-mail us for a copy of our Schools Information Pack. Who was it that said size doesn't matter and little did they know how wrong they could be when you can pack so much into such a compact Log Building for the tiny tots. So when size is important and your school is looking for a value for money solution to your temporary, permanent or portable classroom needs, they don't come any better that in the shape of a beautiful Log Classroom from New Forest Log Cabins. In an attempt to meet the requirements for Pre-schools education, many Primary Schools are considering utilising their existing facilities, which are often limited, to offer classroom space for Pre-School classrooms. New Forest Log Cabins have an economic solution with their Eco friendly low carbon footprint log classrooms. CLICK HERE to request an Information pack and start planning for an Environmentally Friendly solution to the future of your School. No matter how large a sports facility you require. We will design and plan the build of your Changing Rooms or Shower Block incorporating Toilets, Showers, Saunas and Wash-Rooms with disabled access and a whole lot more. The example shown was for Nell Bank in West Yorkshire. Constructing a Day Nursery, Classroom or additional teaching places in schools using solid logs does not mean you need to compromise on safety. Our Log Buildings are designed and built to the very highest quality standards available and as with any commercial structure, we ensure they meet all the needs for Disabled Access. A temporary Log Classroom is built to the same exacting standards as our Mobile Homes and fully conform as Temporary Structures and can be move from site if required in a similar way to a Portable Cabin. For more information on our school classroom to meet the needs of permanent or temporary planning permission, please call our Sales Office or request a Schools Information Pack. 18 x 7mtr School Classroom with Staff Room, quiet room boys, girls and disabled toilets. Suitable for class sized up to 30. Our bespoke range of Log Classrooms provide you with the ideal solution for solving the need for more space and our modular designs will incorporate your needs to a specifications and internal layouts to suit the location and the number of children to be educated. 10 x 8mtr 92mm Square Log Classroom suitable for up to 28 children. Fact sheet on the importance of achieving sustainable low carbon buildings.